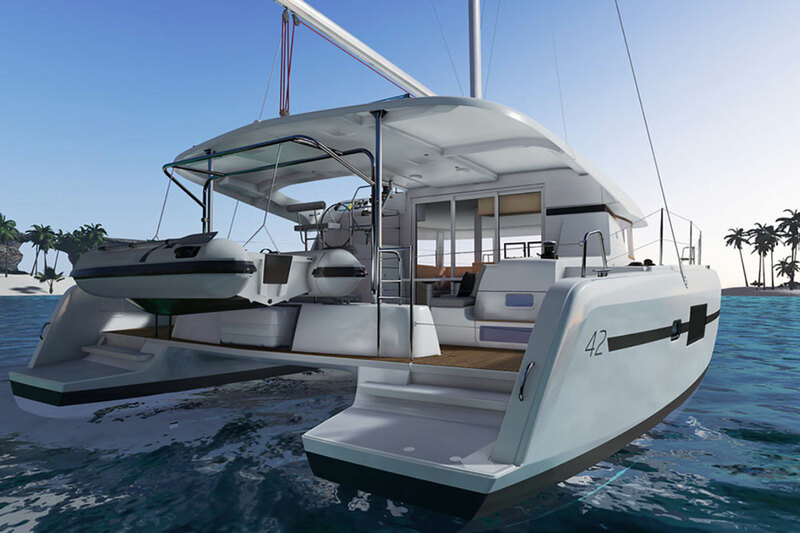 The 2015 Bali 4.5 Open Space is a new sailing catamaran, with some features we haven't seen before in this type of multihull. 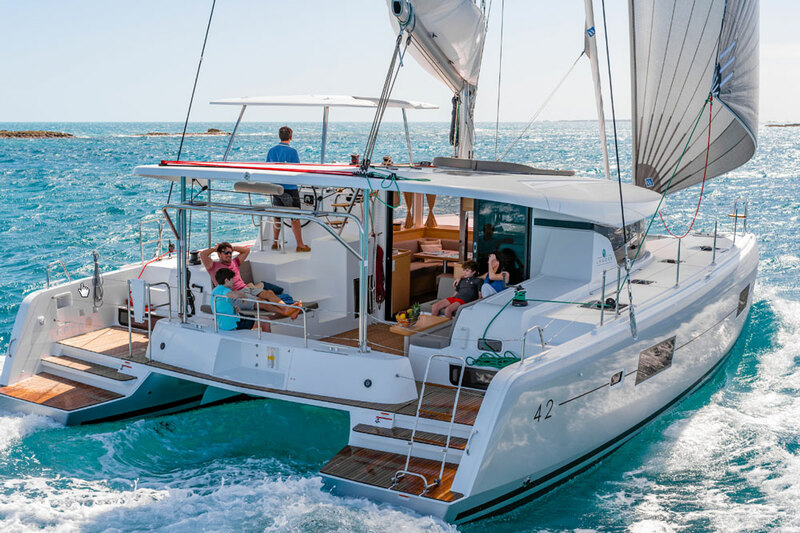 The Miami boat show is the ideal venue to search out new and interesting boats, so when our sailing expert Zuzana Prochazka discovered the 2015 Bali 4.5, she stopped in her tracks and made an unexpected detour. 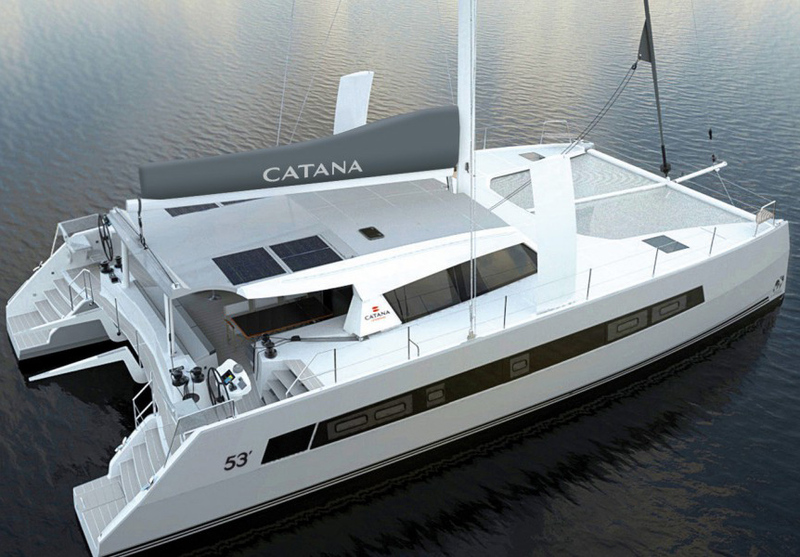 This is a new sailing catamaran, which is built by the established multihull maker Catana. Join Zuzana, as she takes a look at some of the highlights. As you can tell, the galley—with its full-sized upright refrigerator—and the pass-through window are very cool, but the really nifty part of the boat is the bow. 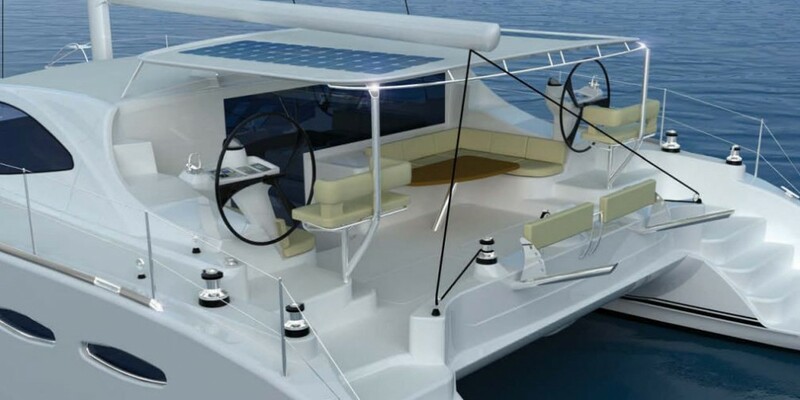 Most sailing catamarans of this size have a "trampoline" spanning the bows, because building rigid structures up there has a tendency to weight it down and potentially cause bow slap. 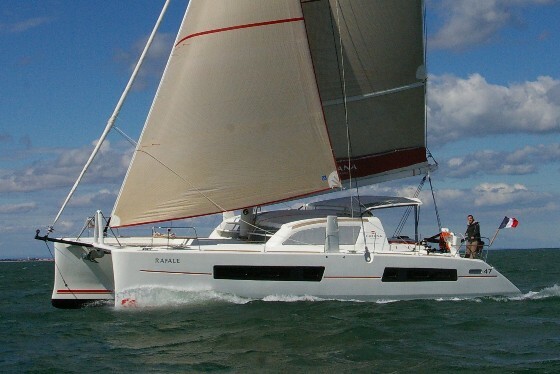 As Zuzana notes, Bali says slap isn't an issue on this boat. Why doesn't Prochazka tell us what she thinks about the potential for slap? 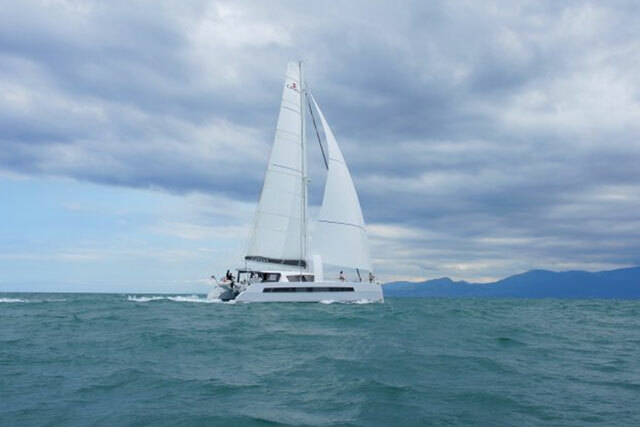 Because during her test sail, they had flat calm conditions. 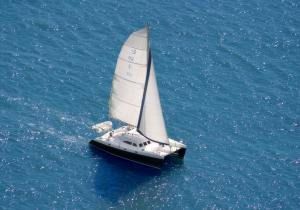 It gave her a good feel for how this sailboat handles in a light breeze, sure, but there simply weren't enough large waves to make a firm judgment call on how it will handle in rougher conditions. 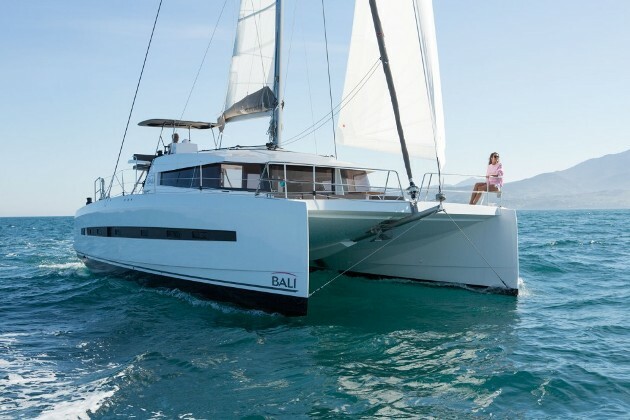 Still, you can learn a lot more about this sailing catamaran by checking out her full report: Bali 4.5 Open Space: A New Catamaran from Catana. She digs deep beneath the gel coat, with detailed information on everything from the cabin layout to the hull construction. After you've checked it out if you're still hungry for info, pay a visit to Bali.